Shipping to and from Canada can be intimidating for even the most experienced shippers. The good news is that cross-border shipping isn't as hard as you may think it is. Below are some frequently asked questions that we've compiled for your reference when you're gearing up to ship freight cross-border. The vast majority of LTL freight and truckload shipments to Canada clear at the border under a process referred to as the Pre-Arrival Review System (PARS). PARS allows review with the Canada Border Services Agency (CBSA) in advance of the freight's arrival. The PARS process speeds up customs clearance and alleviates congestion at the border, but in order for this system to work, every party involved (customs broker, importer, and carrier) need to play their part. What is a PARS number? The PARS number is commonly referenced when setting up PARS clearance and is also commonly referred to as the Cargo Control Number (CCN). The PARS number for all shipments will be the tracking number preceded by the carrier's four digit carrier code. In order to avoid being delayed at the border, a carrier must inform the customs broker of the port of crossing, the ETA, and carrier contact information. Can my shipment be PARS accepted and still be bonded or inspected at the border? Yes. Even though the shipment information has been sent via PARS and accepted by CBSA, Canada customs agents have the right to inspect a shipment. The Pre-Arrival Processing System (PAPS) is the United States equivalent of PARS. PAPS allows customs paperwork for individual shipments to be processed before southbound freight reaches the Canada/U.S. border - facilitating the freight's entry into the U.S. Different carriers use different Canada/U.S. Custom gateway locations. Where your specific shipment crosses will depend on its origin and destination. Generally, carriers will list their gateway locations on their website and PartnerShip will use the most direct route for your shipment to meet your delivery expectations. How long can I expect the transit time to be on cross-border shipments? What forms and documentation will I need for my cross-border shipment? Getting your shipment across the border requires a bit more paperwork than what's required for standard domestic shipping. Luckily, PartnerShip has compiled a list of documents you'll need when shipping from the U.S. to Canada. Those forms can be accessed on PartnerShip.com by logging in and visiting PartnerShip.com/ShippingForms. Advance Commercial Information (ACI) is a project of the CBSA. ACI requires that all commercial cargo entering Canada be electronically registered with the Agency prior to arrival at the border. The project's aim is to improve Canada border security and efficiency. ACE is a U.S. Customs and Border Protection (CBP) program that gives CBP and other participating government agencies the ability to access data throughout the international supply chain to anticipate, identify, track and intercept high-risk shipments at borders and ports. With ACE, carriers are able to file electronic manifests in advance of freight arrival at the customs check point for faster entry into the commerce of the U.S.
What is a FAST certification? A Free and Secure Trade (FAST) certification is an expedited clearance program between the U.S. and Canada for commercial vehicles. It's intended to ensure safety and security for commercial carriers who meet eligibility criteria and have passed background checks. Benefits of the program include dedicated lanes for quicker border clearance, as well as simplified clearance procedures. Certified carriers can travel through checkpoints as required documents are verified, but trade-related verification can be completed later. How much do I pay shipping cross-border? As with shipping in the U.S., your actual freight charges will depend on many different variables, such as: commodity, weight, fuel, etc. The importer of record is normally billed by his/her broker for duties and taxes. The customs broker determines duty (if applicable) along with the appropriate taxes and reports those taxes to Customs on the client's behalf. Where can I get help to work out the details when shipping between the United States and Canada? 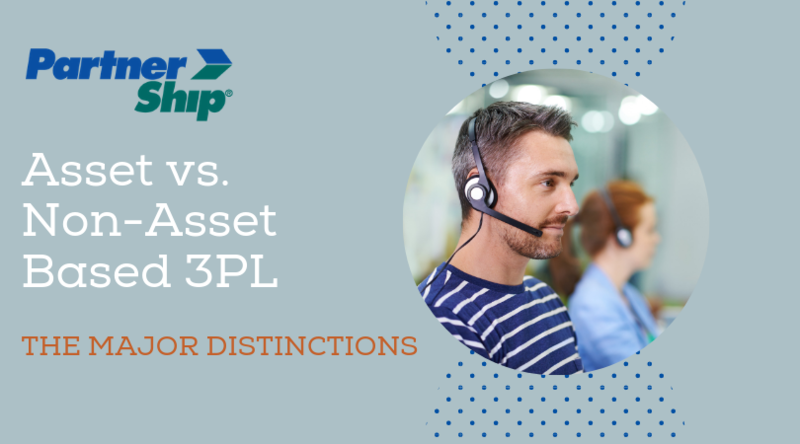 The shipping experts at PartnerShip are familiar with the ins-and-outs of cross-border shipping and can help manage the details that leave you bewildered. From paperwork to policies, we make sure you are feeling confident about your cross-border moves so that you can rest easy that your shipment is traveling securely. 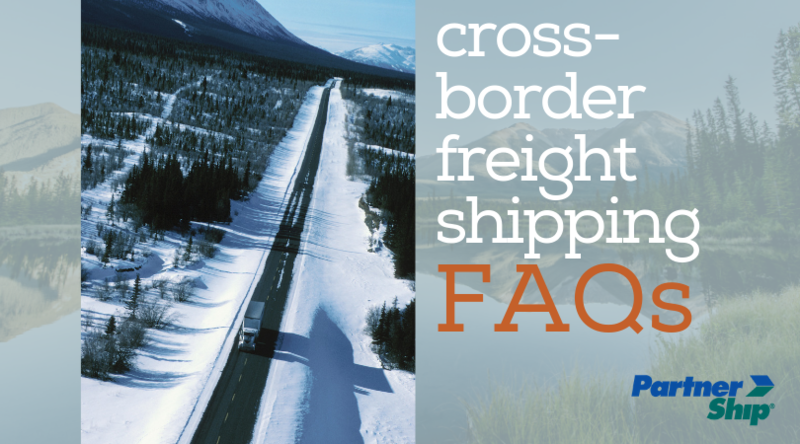 To learn more about cross-border shipping, call 800-599-2902 or get a quote today.